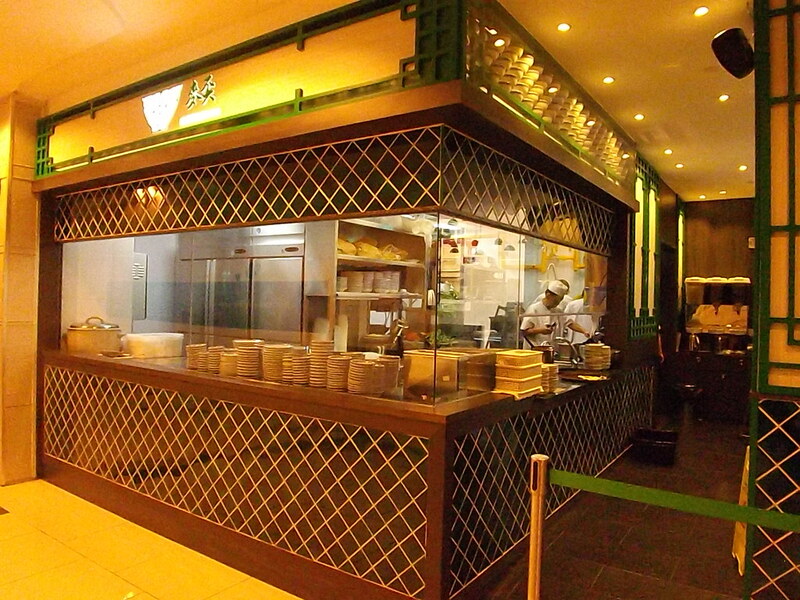 The opening of Mak's Noodle Singapore at The Centrepoint is a testament of how exciting our foodscape is. Not only you get to taste what the Hong Kongers love right at your doorstep, you get probably the most original version of it. 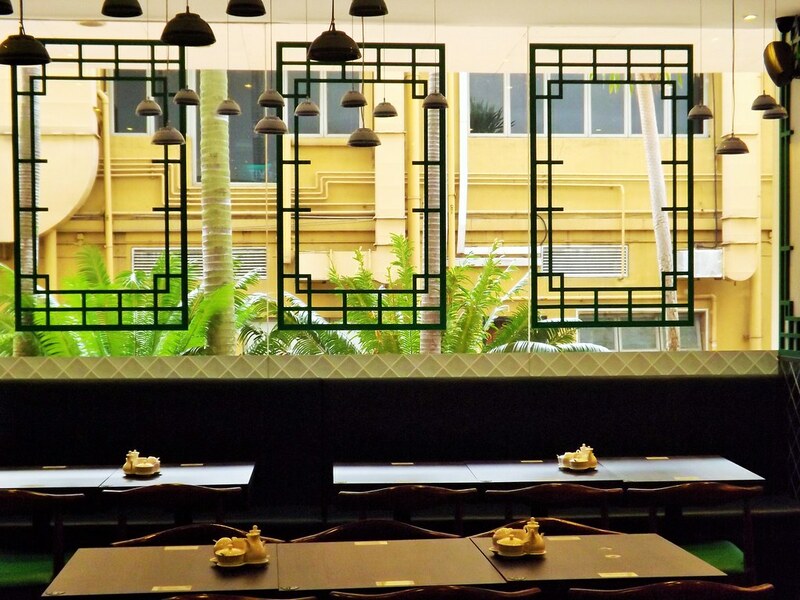 Mak's Noodle legacy dates all the way back to 1920, in Guangzhou China. 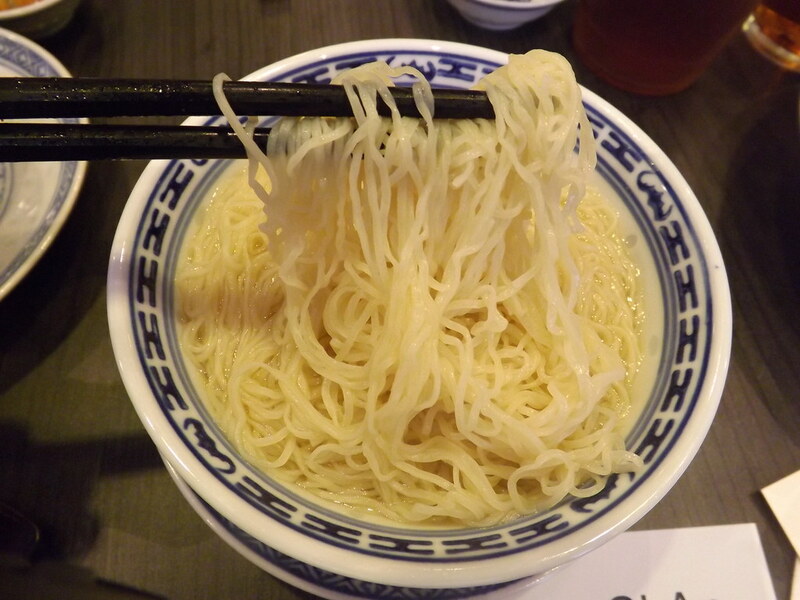 shifted to Hong Kong during the Second World War, Mak's Noodle was eventually crowned the "Best Wonton Noodle in Hong Kong". So what makes this smaller-than-usual bowl of wonton mee a notch up the rest? Well, perhaps, being small is its strength. In Canton, it was intended to be a snack rather than a main. Small serving ensures springy noodles to your very last slurp. 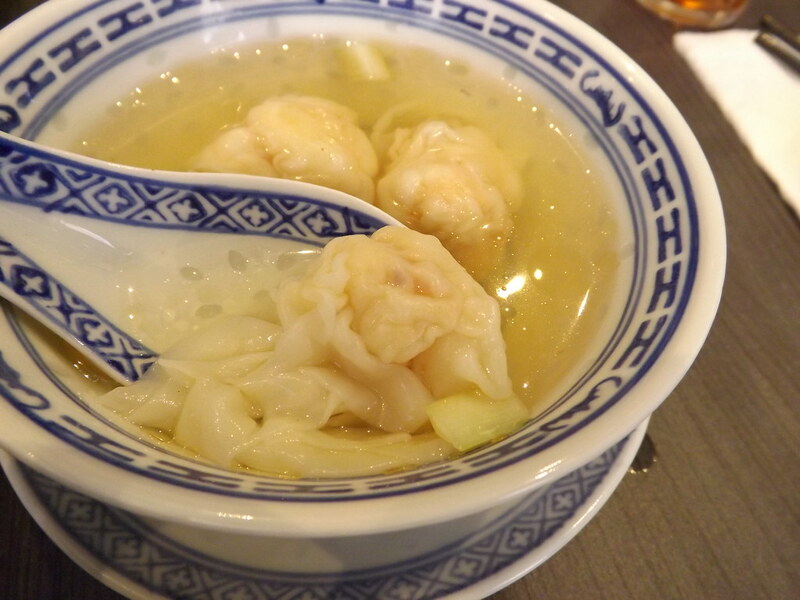 Coupled with specially family-tailored succulent shrimps wonton, this bowl of comfort food has made its name to each and every household in Hong Kong. 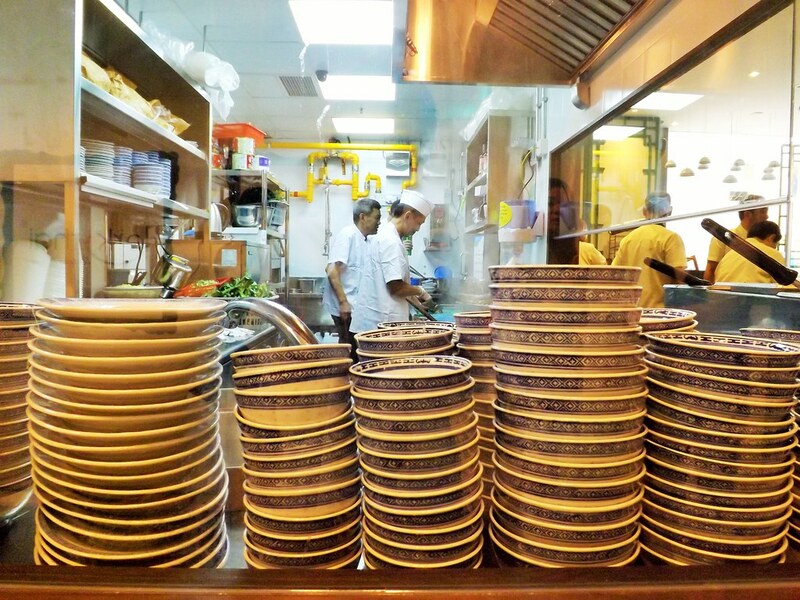 Over here in Mak's Noodle Singapore, you may doubt the authenticity of it. However, as endorsed by the Mak owner himself, what you will get is 95% of the real taste (at least they are truthful enough not to claim 100% authentic). It's jade green cushioned seats adds cosiness to this small 40-seater eatery, I called it, what might otherwise be less friendly and warm if were to follow that of Hong Kong. No harsh ceiling lights, but hanging lights with porcelain fitting drop elegantly down from the ceiling. You might find the table unusually clear, atypical of a Hong Kong setup. That's because all the Sauces plates, spoons, chopsticks and serviettes have been hidden in a drawer underneath the table, making the table roomy enough for your food. A simple one page menu with all the quintessential items - mee, wonton, dumpling, beef brisket, beef tendon and seasonal vegetables. You can have almost any combination of these items you want on your plate together, or as a side dish. We first started off with what they are famous for - Wonton Soup ($6.90++). It's fresh and succulent no doubt, flavourful without being too salty, which I had encountered before. Don't expect it to be as big as a fishball like some others. Remember, their focus here is quality not quantity. The same goes for their Tossed Noodle w Shrimp Roe & Oyster Sauce ($8.30++). Well, it is really what it is.. It may looks like paprika but it's not! 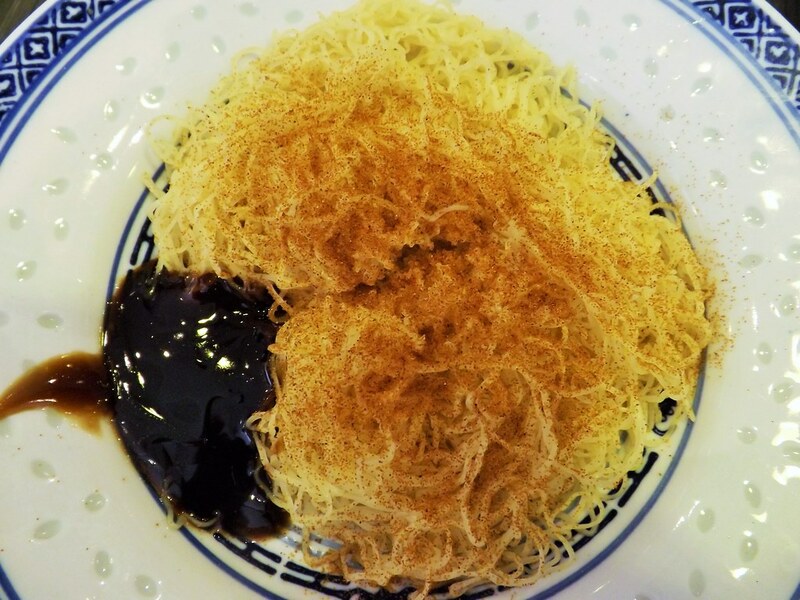 I would recommend to eat without the oyster sauce and slowly savour the shrimp roe.. Just mix it well with the noodle and eat it straight. I find it quite amazing of this humble bits can elevate the taste by so much. For the serving and the price, it is a delicacy indeed. In comparison with their tossed noodle, their Wonton Noodle Soup ($6.90++) falls short of my expectation. The noodles is just as springy but the alkaline (kee) taste is too strong for my liking. For side sides, we had Beef Brisket & Beef Tendons ($16.50++) and a plate of Seasonal Vegetables ($4.90++) to balance our meals. 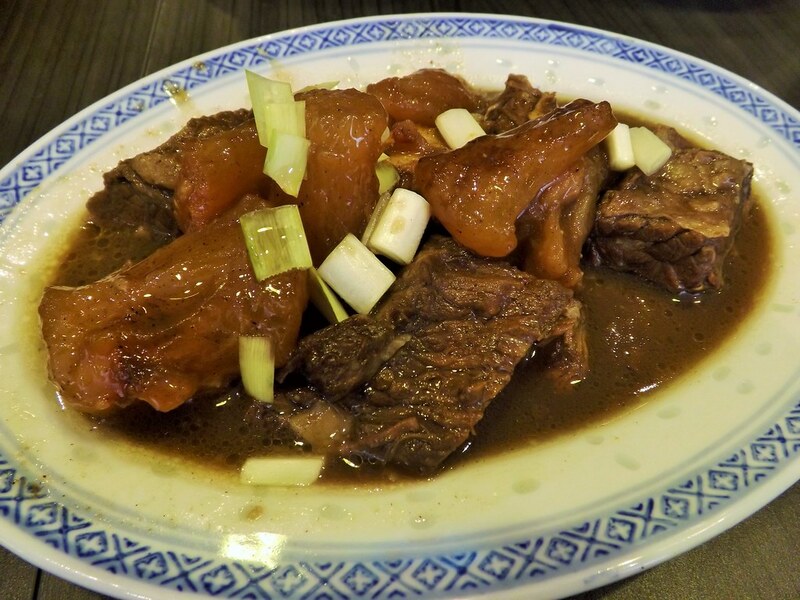 My journey to Hong Kong is never completed without having a go at their braised beef tendons. Theirs taste as good as what I have had tried before. Firm, flavourful and chewy. Their beef briskets were just as good - tender, well soaked with flavours. Like what the boss has commented, there are indeed other former Mak's Noodle chefs who have been poached and ventured into their own setups in Singapore with other investors, under a different brand name, claiming to be delivering what's authentic to the locals. However, one can't deny the possibility that Chefs being Chefs, they will tweak the recipes to suit their own preferences, which over here in Mak's Noodle, the chefs don't. I do believe that. If not, it wouldn't have carried with itself the almost 100 years of legacy, and not showing signs of slowing down. I won't say that theirs are the best that I have tried. 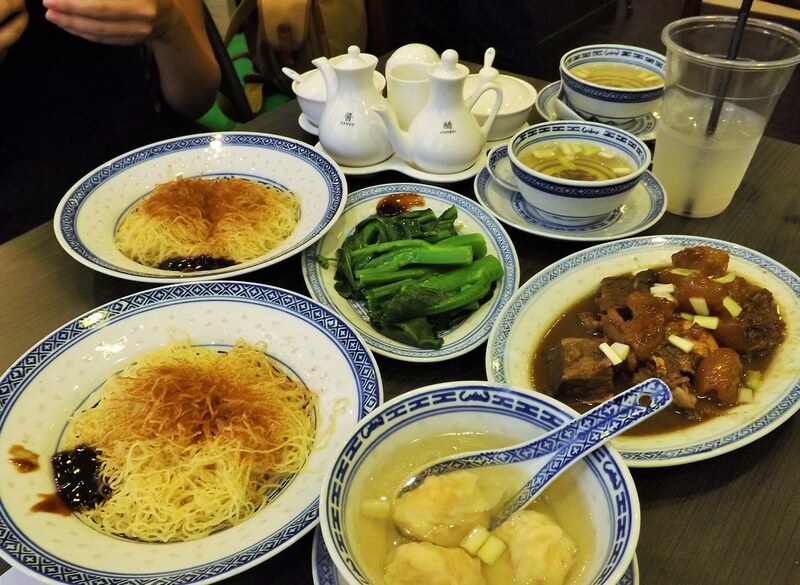 To provide a "happy stomach" with an authentic Hong Kong dish at an affordable price, is the mission of Mak's Noodle. It is really that affordable? I'm not so sure either. But if you benchmark it against those pseudo Hong Kong restaurants, for the taste and quality, theirs are definitely much more worth it.